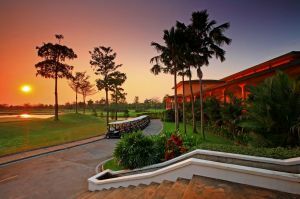 The Lotus Valley Golf Resort was originally designed to high standards by South African Gary Player. His preference is for a Scottish experience with close cut fairways and water at most holes. 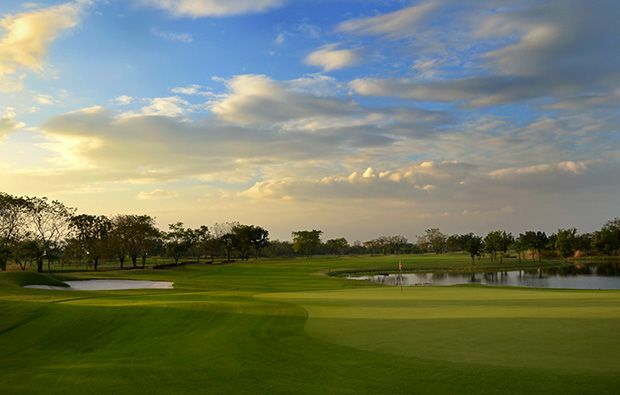 Although the course has been extensively remodelled it still remains at heart a Gary Player design the course has been upgraded to meet the demands of the modern game. The new design team have reshaped the green complexes and the result is some superb playing conditions and a course which is very challenging, visually beautiful and above all great fun to play. 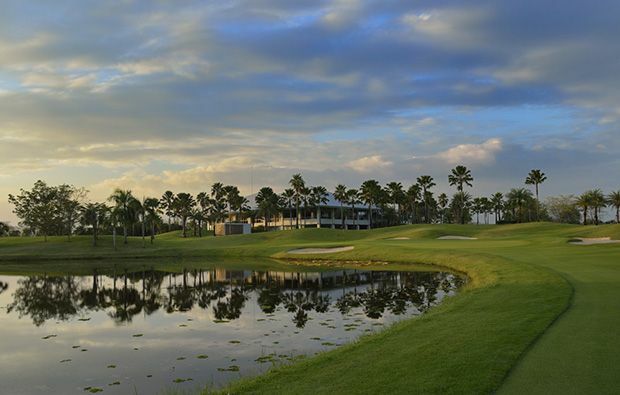 The designers have been careful to ensure that the golf course caters to golfers of all standards and every hole offers a safer route to the green or a more difficult option for those hunting birdies. 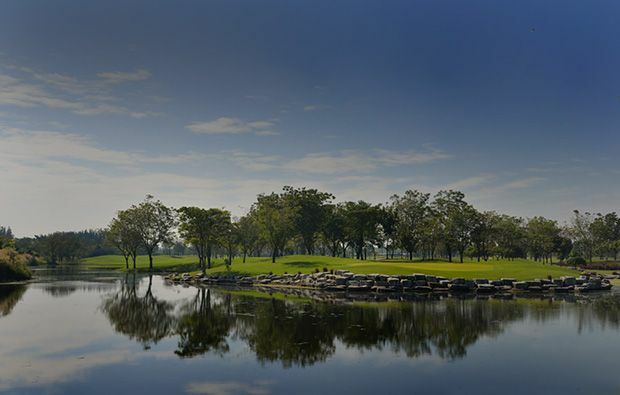 On the front nine the pick of the holes includes the par 3 third which demands a long carry over water to a green protected by a large bunker. The sixth is rated the most difficult on the course and no wonder with water all along the left and numerous bunkers waiting to catch the mishit drive and then a narrow approach to the green between two bunkers. 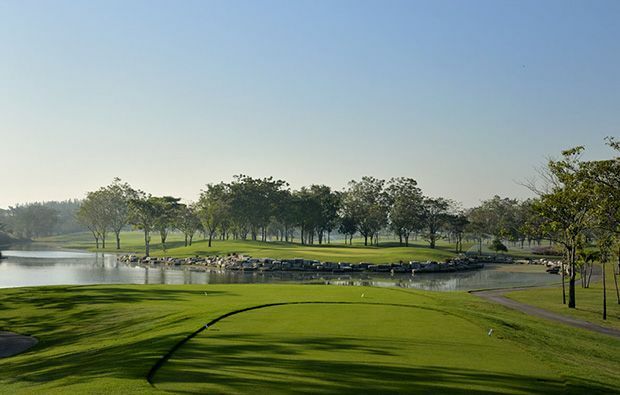 The seventh is no pushover either – a long, narrow par 5 with water protecting the left side of the green. The eighth is another classic par 3 with water carry off the tee to a narrow green. Reasonable start to the back nine providing you can find the fairway off the tee as a line of bunkers lies in waiting for any slight push. The eleventh is a long par 4 with two large fairway bunkers protecting both sides and the 12th if the easiest par 3 on the course providing you get the club selection right. The next challenge is the 13th which is an extremely long par 4 with water all along the left side with a well-protected green. The 17th is a brute of a par 3 which will require a driver for many of us and with huge bunker all the way from tee to green this has the potential to wreck your card. If that wasn’t enough there is a monster par 5 to finish. 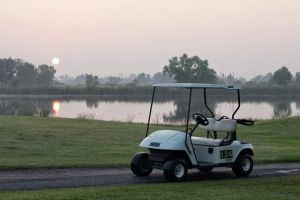 Whether you want reliability or adventure, the holes can be approached your way, take the safe route or take the route that leads to plenty of risk with birdies and bogeys on offer. 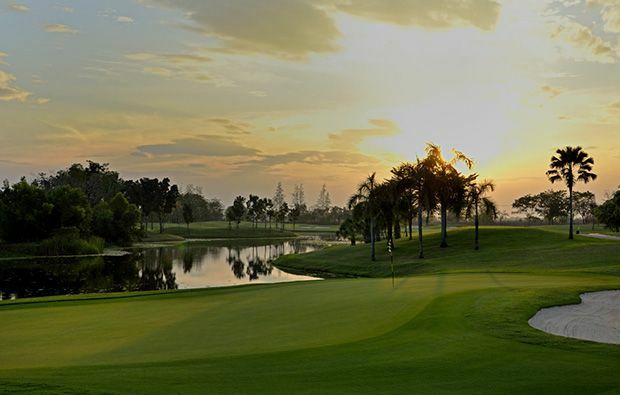 The very creative layout at Lotus Valley Golf Resort is a great balance of traditional design, updated preparation of the golf course and great maintenance. It’s quite a long drive to the golf courses so we suggest you don’t tee off too early. 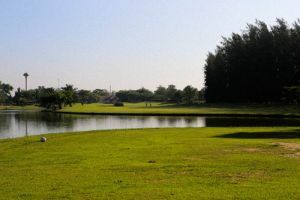 The course is not busy during the week so you should be able to secure a tee time quite easily. 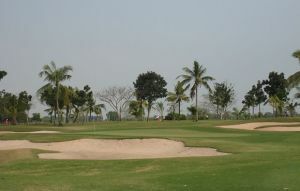 Lotus Valley Golf Club is not yet in our pool of Golf Courses for orders.